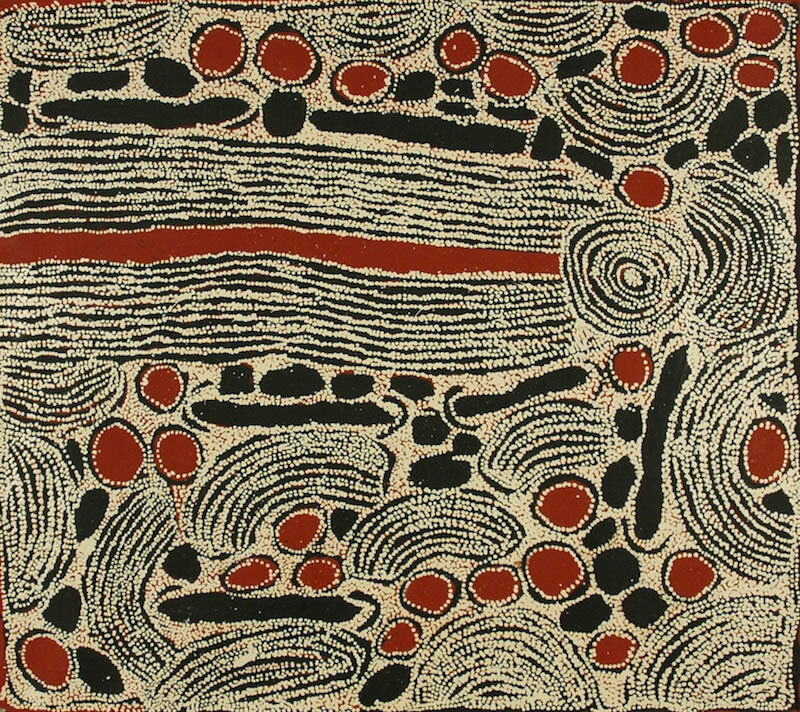 Ningura Napurrula commenced painting in 1995, and completed her first paintings for Papunya Tula Artists in 1996. She has since exhibited regularly, including a survey exhibition of her work at Utopia Art Sydney in 2009. 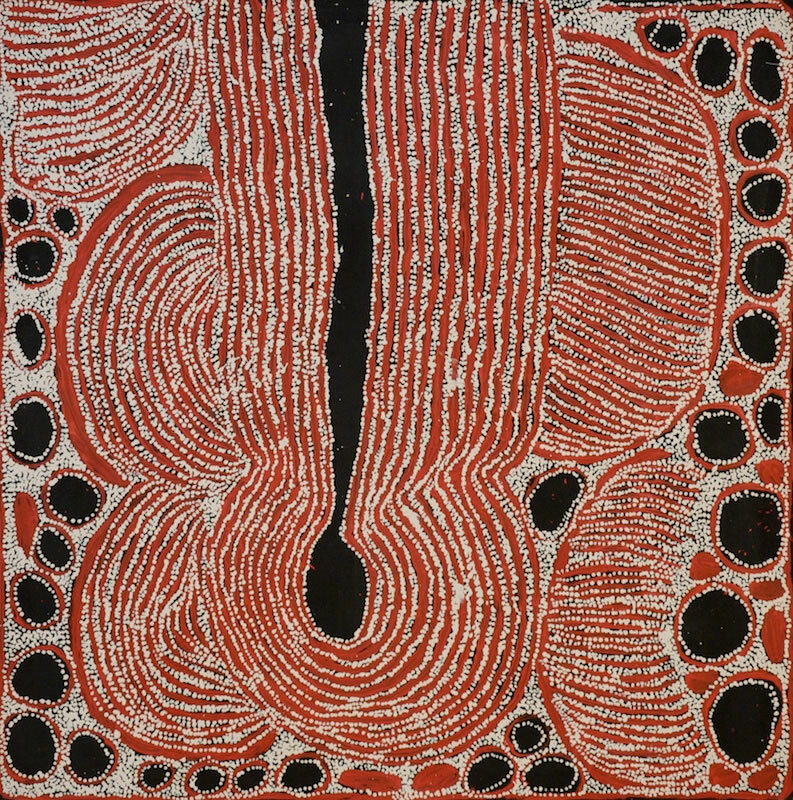 In 2003 Ningura was chosen along with four other Papunya Tula Artists to have one of her paintings represented on an Australia Post International Stamp. In 2004 Ningura was one of eight artists selected to have an example of their work incorporated into the architecture of the Musee du quai Branly in Paris. 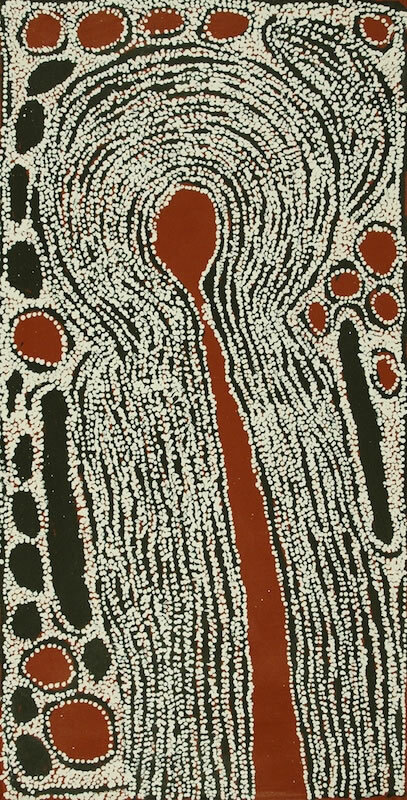 Her work can also be found in the collections of the Art Gallery of New South Wales, the National Gallery of Australia and the Griffith University Art Collection. Ningura passed away in 2013. There is a strong narrative element to Ningura's painting. Her use of a limited palette emphasises the structural elements of her work and slight tonal variations of cream and white move the viewer?s eye around the surface of the paintings. 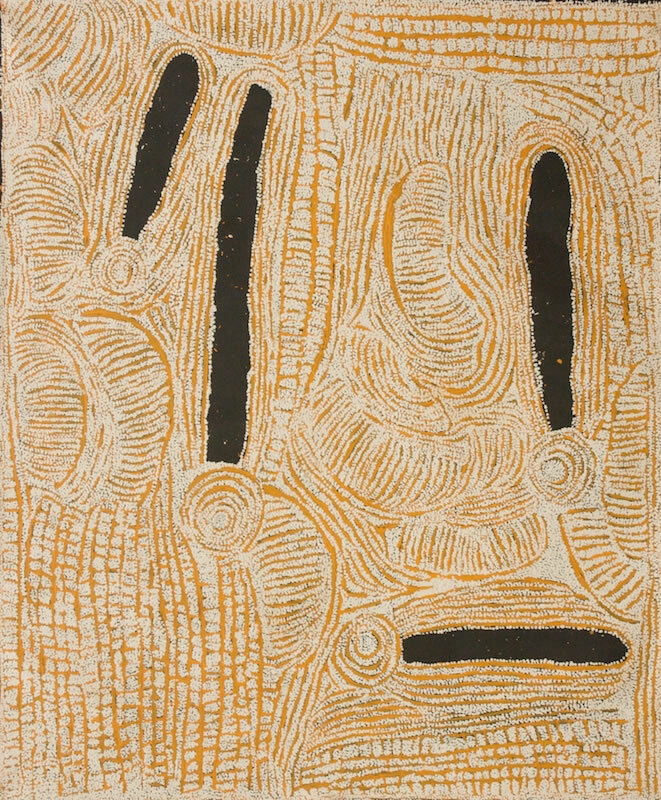 Ningura's paintings often relate to the rockhole sites of Wirrulnga and Ngaminya, which are east of Kiwirrkurra. The site of Wirrulnga is associated with birth. At these sites spun hair-string is made to form nyimparra (hair-string skirts), which are worn during ceremony.